Whatever happened to...The Terrace Ballroom? 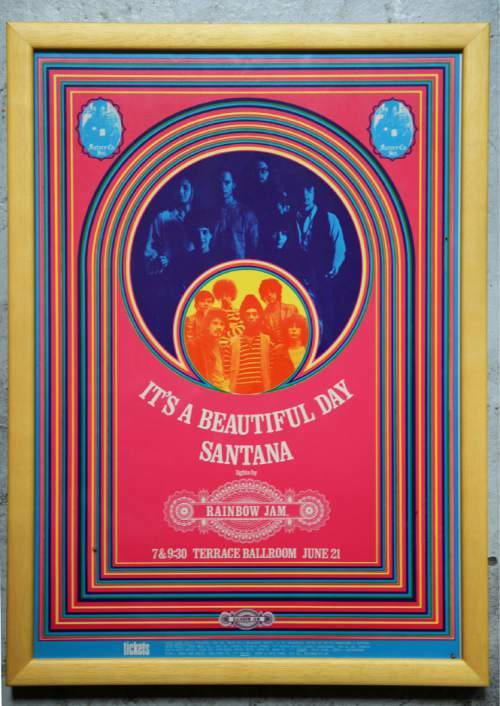 Courtesy | Ken Sanders Rare Books Poster for Santana concert at the Terrace Ballroom that closed in 1981. Poster courtesy of Ken Sanders Rare Books. 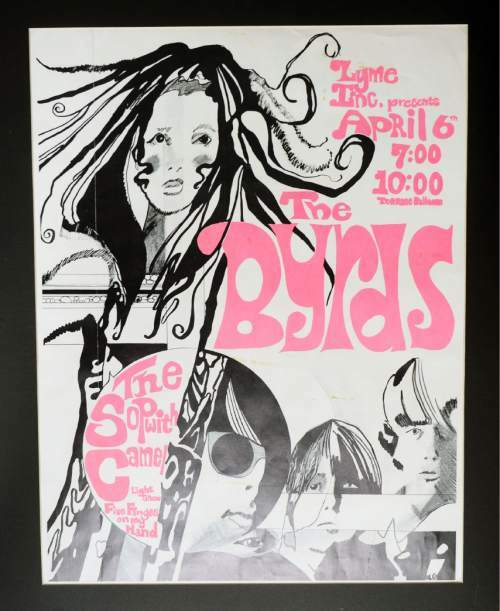 Courtesy | Ken Sanders Rare Books Poster for The Byrds concert at the Terrace Ballroom that closed in 1981. Poster courtesy of Ken Sanders Rare Books. Courtesy | Ken Sanders Rare Books Poster for the Pink Floyd concert at the Terrace Ballroom that closed in 1981. Poster courtesy of Ken Sanders Rare Books. 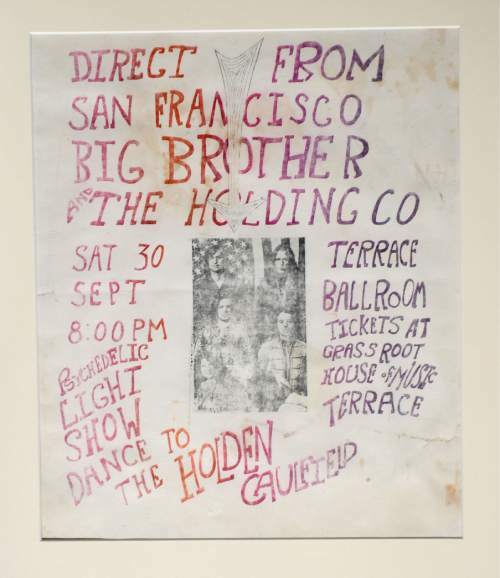 Courtesy | Ken Sanders Rare Books Poster for Big Brother and the Holding Co. featuring Janice Joplin at the Terrace Ballroom that closed in 1981. Poster courtesy of Ken Sanders Rare Books. 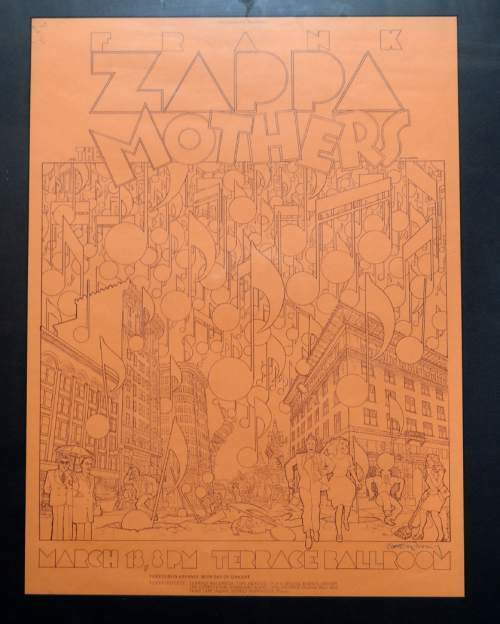 Courtesy | Ken Sanders Rare Books Poster for Frank Zappa concert at the Terrace Ballroom that closed in 1981. Poster courtesy of Ken Sanders Rare Books. 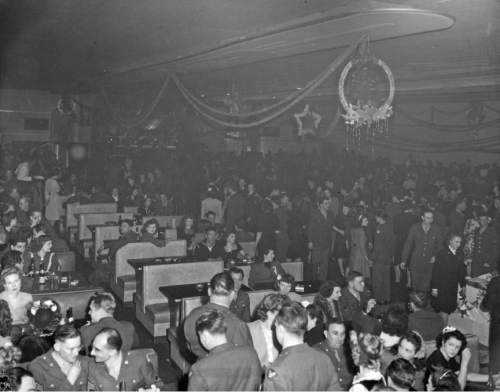 Courtesy photo | Ron Fox; Utah State Historical Society Military members attend a Christmas party hosted by The Salt Lake Tribune at the Rainbow Randevu on Dec. 18, 1944. 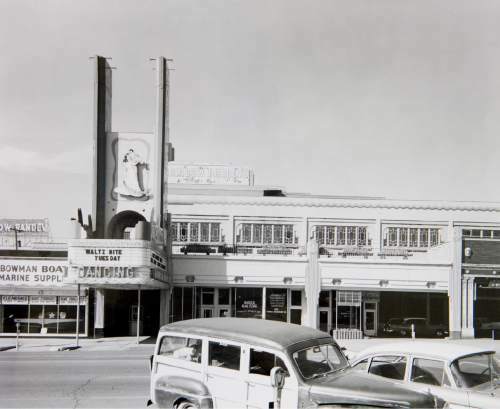 (Photo courtesy Utah State Historical Society) The Rainbow Randevu, 464 S. Main, as seen in April 1956. The dance hall was renamed the Terrace Ballroom in 1960. Across five decades, the venue played host to star-studded big bands and rock groups and was for many the place to be seen in Salt Lake City. 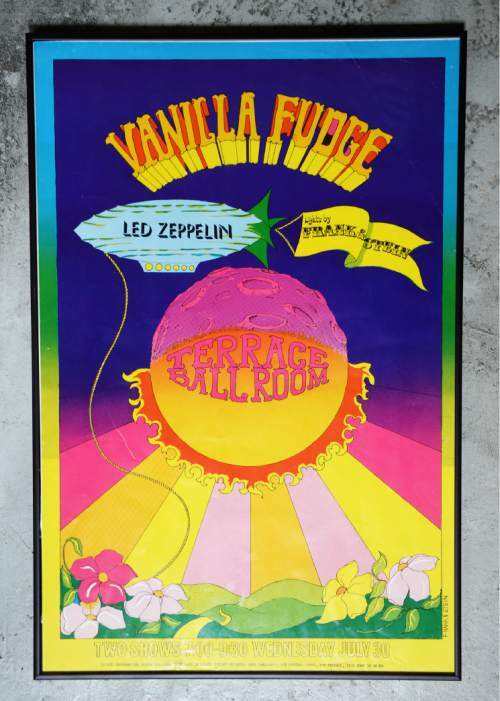 Courtesy | Ken Sanders Rare Books Poster for Vanilla Fudge and Led Zeppelin concert at the Terrace Ballroom that closed in 1981. Poster courtesy of Ken Sanders Rare Books. (Photo courtesy Utah State Historical Society) The Rainbow Randevu, 464 S. Main, as seen in October 1957. The dance hall was renamed the Terrace Ballroom in 1960. Across five decades, the venue played host to star-studded big bands and rock groups and was for many the place to be seen in Salt Lake City. Editor&apos;s note • In this regular series, The Salt Lake Tribune explores the once-favorite places of Utahns, from restaurants to recreation to retail. If you have a spot you&apos;d like us to explore, email whateverhappenedto@sltrib.com with your ideas. It&apos;s a parking lot now, but at one time, Main Street between 400 and 500 South was a happening block with the Terrace Ballroom sandwiched between the Hotel Newhouse and Little America. In 1922, the Covey-Ballard Motor Company built the structure that was transformed into the storied dance hall that opened in 1931 as Coconut Grove. It was advertised as the largest ballroom in the country, and brought the wow factor to Salt Lake City during the Great Depression. Ballroom dancing was the sophisticated entertainment of the day and Salt Lakers were not going to be left behind, as they danced to the music of Lionel Hampton, Les Brown, Tommy Dorsey and many others. Sometime around 1940, the hall was renamed the Rainbow Ballroom and just after World War II, it morphed again into the Rainbow Randevu. Jerry Jones and his orchestra played big band sounds and hosted regular dance nights. For many in the 1940s and &apos;50s, it was the place to be on a Friday or Saturday night. Max Engman&apos;s orchestra also was a ballroom stalwart that continued to play into the 1980s. Former broadcaster Don Gale was a regular at the Randevu in the late 1940s and early &apos;50s and remembers dancing to many of the big bands of the day. "We danced forever. It would go on for hours, until about midnight," he recalled. "It was a great time to be young and in love." The venue also attracted crooners from across the country, including Nat King Cole, who appeared there in February 1959. That was just after the Freed brothers, who owned the Lagoon amusement park, bought the ballroom in 1958. They recast it as Danceland but changed the name to the Terrace Ballroom in 1960. 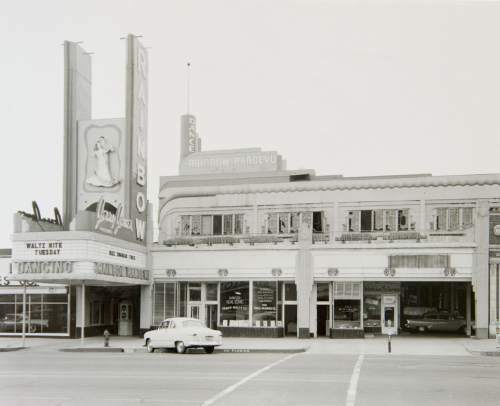 It was the largest venue in Salt Lake City and by the mid- to late 1960s, the acts on the marquee began to change from big bands to rock groups, such as the Byrds, Led Zeppelin, The Who, Iron Butterfly, The Doors and a host of others. Salt Lake County Councilman Jim Bradley has fond memories of a date at the ballroom in the early 1960s. "The Terrace was rockin&apos; in those days," he said. "I saw the Beach Boys and I had a hot date. It was great." The genteel crowds who danced to Jerry Jones were replaced with rowdy youngsters. On several occasions, unruly concerts led to property damage inside the hall. For a short period between 1970 and 1972, no rock bands were booked. The hiatus ended with the performance of the James Gang in February 1972. Rob Green, a soon-to-be-retired physical therapist, vividly recalls taking in the Iron Butterfly concert in October 1968. "They played something called &apos;In a Gadda da Vida&apos; and it was a seminal moment," he remembered. "It went on for half an hour." Green also recalls the colorful light shows "like pulsing amoebas" that were the backdrops of the concerts. The aroma of marijuana was in the air, he said, and his pals smuggled in booze in small flasks. "I really did enjoy it," Green said. "I was bummed when they closed it down." For KUER jazz host Steve Williams, the Terrace was something like the epicenter of Salt Lake City&apos;s counter culture. Just out of the Army in February 1968, Williams took in a Jefferson Airplane concert and immediately felt right at home. "I had no idea how many hippies were in Utah," he said. "It blew my mind." Williams&apos; brother, Rick Williams, had put together a band called Wishful Thinking. They were so hot they opened at Traffic&apos;s June 1970 gig at the Terrace. Williams saw dozens of rock groups there. After shows, he and other concertgoers would hit Dee&apos;s restaurant across Main Street and hang out. "It was our scene. It was so cool," he recalled. "Every concert at the Terrace was an event." The Williams family has a long history with the ballroom. Steve Williams&apos; father, Murray Williams, played clarinet and alto sax in the Jerry Jones orchestra. California-based rock bands liked Salt Lake City audiences, Steve Williams noted. "Salt Lake City was the test area for these bands," he said. "They&apos;d come over from San Francisco and test their shows on us." But with the coming of newer and larger auditoriums, such as the Salt Palace and the Huntsman Center, fewer acts were booked at the Terrace. The doors closed forever at the ballroom after a Dec. 31, 1981, New Year&apos;s Eve party. In August 1987, a fire broke out as the structure was being demolished. Now, all that remains is memories.